When you have logged into your class, go to the upper right corner and click the drop-down there. 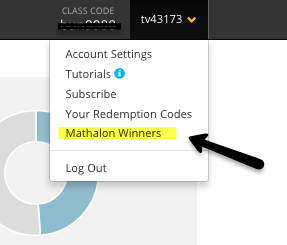 In that dropdown you will see a choice for "Mathalon Winners". Clicking on that will take you to the Mathalon Page where you can find details on what students have qualified, what address we have for shipping and if the shipment has gone out for any of the students. Shipments are every 2 months between September and June. Details of who has qualified is included. 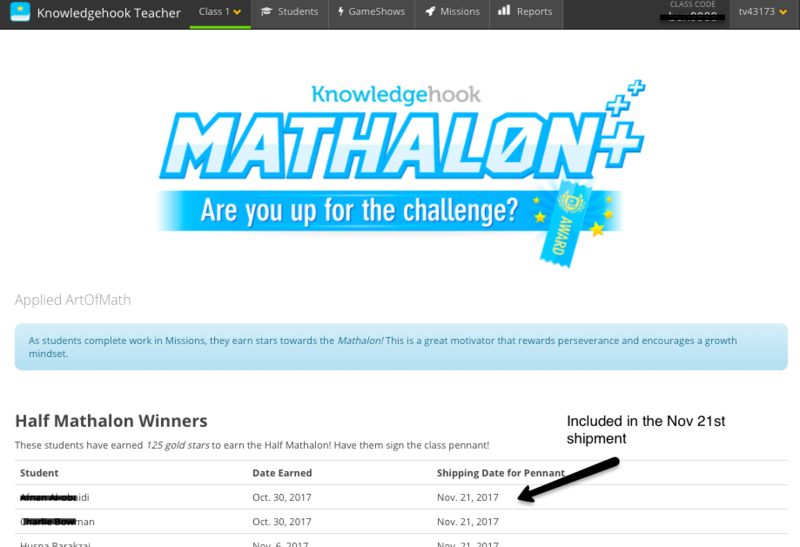 Learn more about the Knowledgehook Mathalon here.